Scottsdale is one of the USA’s hidden gems. A hot bed for the arts, a playground for the adventurous, and a haven for those in search of pampering and culinary excellence, it really hits the mark as an indulgent getaway. This exclusive itinerary will have you discovering the very best of this south western delight. Start by heading downtown to get to grips with Scottsdale’s cultural side at the 600-acre complex of Taliesin West, built by the architectural genius that was Frank Lloyd Wright. Take a tour and appreciate the striking interiors, gardens and breath-taking terraces, all of which blend seamlessly with the desert surroundings, and hear the story of this famous architect. Once back in town, we’ll have a table waiting for you at one of the city’s critically acclaimed restaurants, such as experimental dining concept Posh or chic Olive + Ivy where you’ll experience refined cuisine in a beautiful setting. End at speakeasy-style Second Story Liquor Bar for a cocktail night cap. A relaxed beginning to your southern Arizona adventure. No trip to Scottsdale would be complete without a bit of cowboy culture, so don those boots and Stetsons and make your way to the Arizona Cowboy College. A family-owned riding stables, here you’ll be taught all the best riding techniques and essential ranch skills. With the opportunity to spend up to a week training to be the perfect cowboy, we can extend your trip to Scottsdale in order to accommodate this western interlude. You’ll no doubt be craving a good meal after getting stuck in at the ranch, so when you’re ready, we’ll whisk you to Handlebar J’s and Rusty Spur for that true cowboy saloon experience. You’re in Arizona’s stunning desert territory when in you’re in Scottsdale, so a day (or more) exploring the McDowell Preserve is a must. Hike or bike along The Lost Dog Wash Trail and keep an eye out for the area’s different species of reptiles, mammals and colourful desert flora as you go. Or if you prefer to take things easy, treat yourself to a hot air balloon ride – with some of the most incredible desert views in North America to take in, all of your senses will be indulged by this mesmerising and otherworldly landscape. Feeling hungry after your desert explorations? 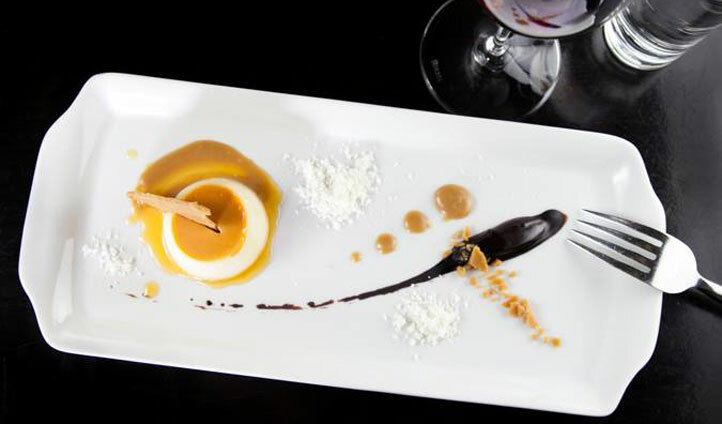 Then it’s time to indulge in Scottsdale’s mouth-watering foodie scene. You’ve already sampled a few gastro gems on your trip, but for the ultimate culinary indulgence, we can arrange a private tour of some of Scottsdale’s hottest restaurants and bars that have made this one of the foodie capitals of the Southwest. Taste your way through frontier flavors and barbecue bites, or for a sweet finish, we can take you on a chocolate pilgrimage through the kitchens of the best local chocolatiers. Now you’ll no doubt need a bit of downtime after your stint on the ranch, your desert explorations, and all that delicious food—so on another of your days we’ll arrange for you to enjoy some exclusive pampering treatments at Sanctuary Spa. Treat yourself to a Swedish body massage before relaxing poolside with the stunning Camelback Mountain as your backdrop. 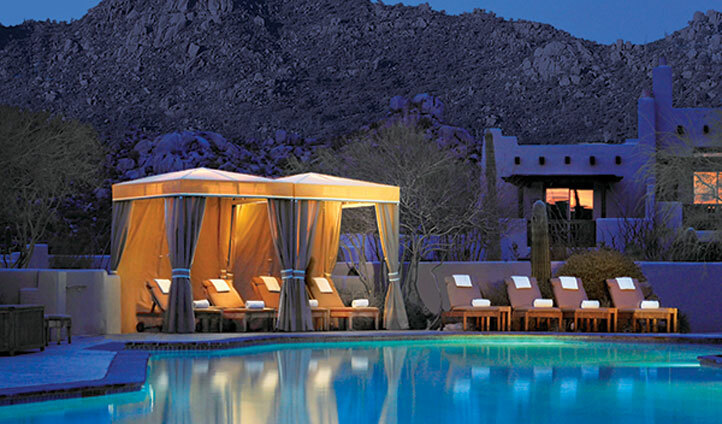 It’s the perfect way to end your indulgent tour of this incredible Arizonan retreat.